This soap dispenser is made of acrylic, santoprene and stainless steel. The extra long spout allows this dispenser to easily apply soap to sponges or brushes or to pump soap directly into the sink without running down the side. Features a comfortable santoprene pump knob with rubber non-skid, non scratching base. 12.5 oz. capacity. 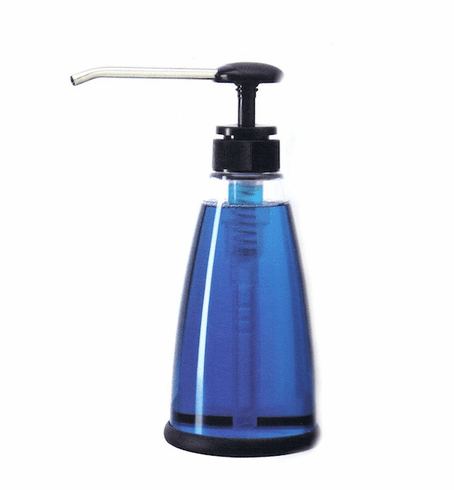 Dispenser can also be used for hand lotion.